Some of these ideas fall into various business realms (marketing, copywriting, SEO etc. ), but they’re all easy to implement. If you’re like most photographers, you’re focusing a lot of your time & money on your craft, while neglecting all the other hats you need wear when running a business. 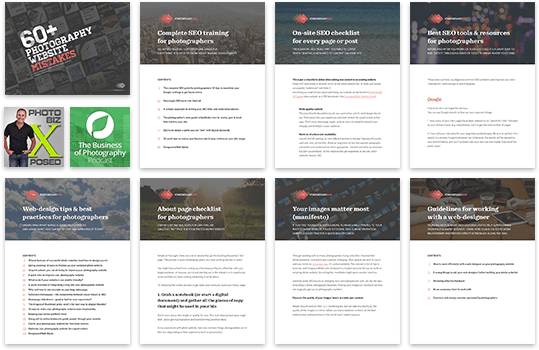 It’s time to improve your site & grow your business! 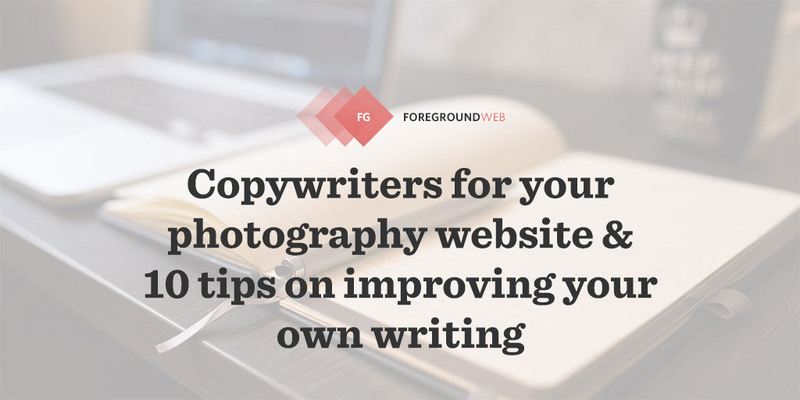 Besides showcasing your best photos, the text you write on your site is just as important. And often times, photographers write for themselves instead of writing for their clients. You don’t have to professionally re-write your entire site. Just take an honest look at your pages and try to make a few changes where appropriate. gives people a clear action they can take (advance to a different page, explore your portfolio, contact you, subscribe to get updates etc.). Every page should have a purpose. By “people” I mean your target audience (which you should have defined by now). Once new visitors reach your homepage, what do you want them to do? Sure, they have the navigation menu there to choose where to browse to next, but you can guide their actions by placing buttons where appropriate. I’m not referring to sleazy subscribe buttons or pop-ups interrupting the site navigation. They’re asking for a user action too, but they’re hurting the browsing experience. I’m simply talking about guiding visitors to the next appropriate page. 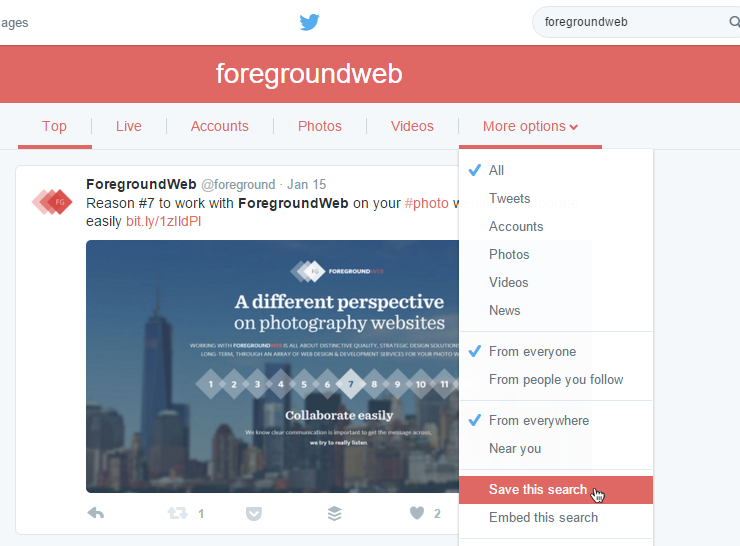 After seeing the homepage, take them (through call-to-action buttons) to your portfolio. Then show them the services you offer, and then take them to the Contact page to leave you a message. Create a navigation flow. As you can see right from the homepage, each page ends in a large button guiding you through a tour. 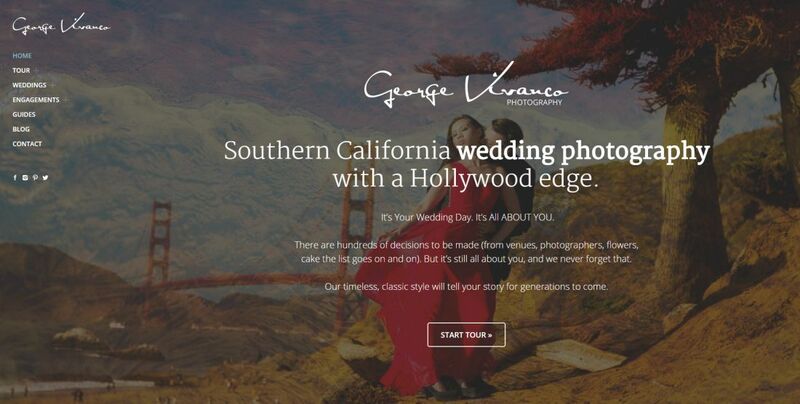 All those tour pages are also listed in the navigation menu, but simply by following those call-to-action buttons visitors are taken through a complete story of their wedding photography work (ending, of course, with the Contact page, since that’s ultimate the goal for them). After visitors read your services page, take them to an FAQ page to learn more. And from the FAQ page, if they still have questions, take them to the Contact page. After seeing your portfolio, lead visitors to your About page (to learn more about the person behind those images). When seeing the homepage, make it clear what sections of the site are most important (the homepage can have multiple call-to-actions sometimes, acting as “portals” to various areas of your site). If you’re offering any sort of photography services, make it a habit of getting testimonials from clients. 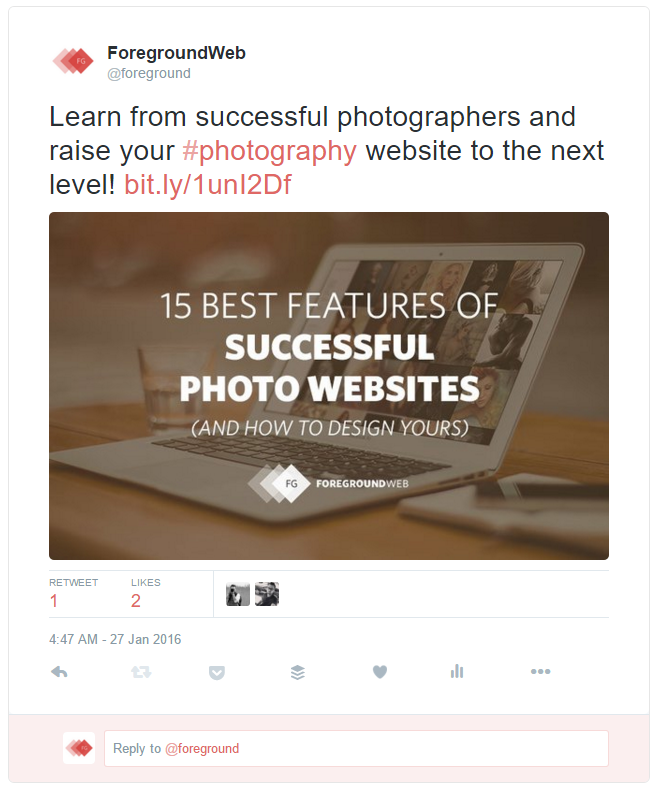 Showcasing them on your site (“social proof”) can help bring in new clients. Testimonials however shouldn’t be shallow (“John was amazing, I would highly recommend him.”). Instead, they should show tangible results your clients got, and/or their honest experience of working with you. If you’ve never asked for testimonials before, make this your next business goal. Read this excellent article on how to get great testimonials and then place them on your site. Where exactly: the homepage, the About/Bio page, the Services page (but don’t add testimonials to the Contact page, leave that clear and simple). 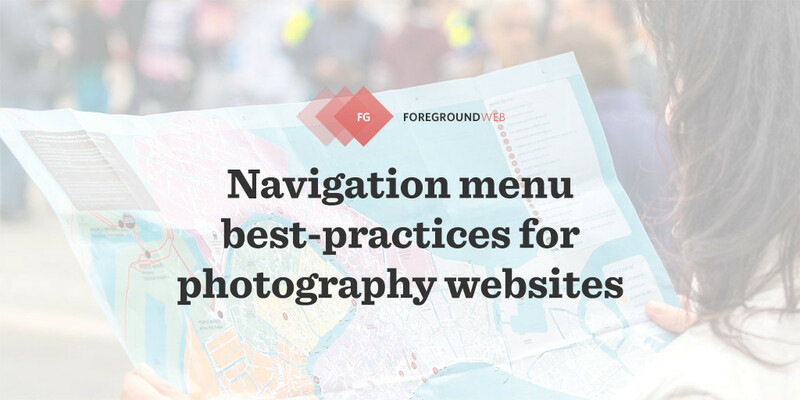 The navigation menu can really make or break a site. 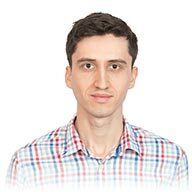 Just take some time to read through that article, I’m sure you’ll get some ideas on how to improve your own site’s navigation. Most website platforms (or themes) will allow you to choose custom fonts for your site, usually from the Google Fonts library. If you’re using WordPress and your theme’s options don’t allow this, get this plugin right now: Easy Google Fonts (wow, look at those excellent ratings). But what fonts to choose? I thought you’d never ask. And while you’re at it, also consider making your fonts more readable: increase the default font-size (16px or more) and line-height (I like something around 1.5) until text is comfortable to read (on mobile devices too). The text color is also important, so make sure there’s enough contrast between the text color and the background. 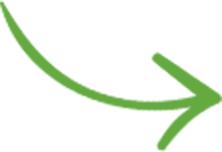 The email signature is a powerful promotion tool and can help you get more traffic to your site when starting out. Not to mention it sets a more professional tone to your emails (if done right). 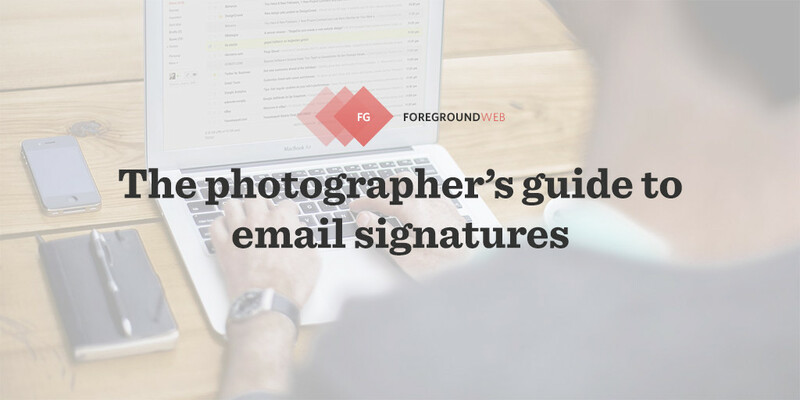 It has everything you need to know about using email signatures to promote your site: what elements to use, best design practices, a lot of examples and resources for inspiration. When you share a page on social media sites, those sites do their best to extra relevant information from that page (besides just the URL): page/post title, a description and an image. This capability obviously depends on your website’s platform, but let me cover the most common one: WordPress. Since you’re likely using the Yoast SEO plugin (which you should), it already has excellent social functionality built in, you just need to learn how to use it. If you’re using Twitter, you automatically get notifications if someone mentions your username. But what if they mention your name or your site’s domain directly? Hope you can use some of these tips to improve your site. If you’re feeling on a roll and are looking for more improvement ideas, check out this related article: 12 quick actions you can do today to improve your photography website.